Photos and Recap by: Maxwell Svec Video by: Seacrest Studios Intern, Iris Raiken [av_video src='https://www.youtube.com/watch?v=zInyJDnLYF4​' format='16-9' width='16' height='9'] Brothers Chris and Martin of Wild Kratts fame dropped by Seacrest Studios at Boston Children's Hospital recently to spend some time with our patients and families! We had ​some big fans in the hospital who were so excited to learn more about how the brothers got started making children's TV shows about wildlife. Chris and Martin gave us the inside scoop on what it's like to watch animals interact with each other in the wild and told us all about the time they saw mongooses and baboons playing together! They even filled us in on why Chris always wears green and Martin always wears blue. The guys ended the interview by doing their best animal sound impressions and they were so awesome! 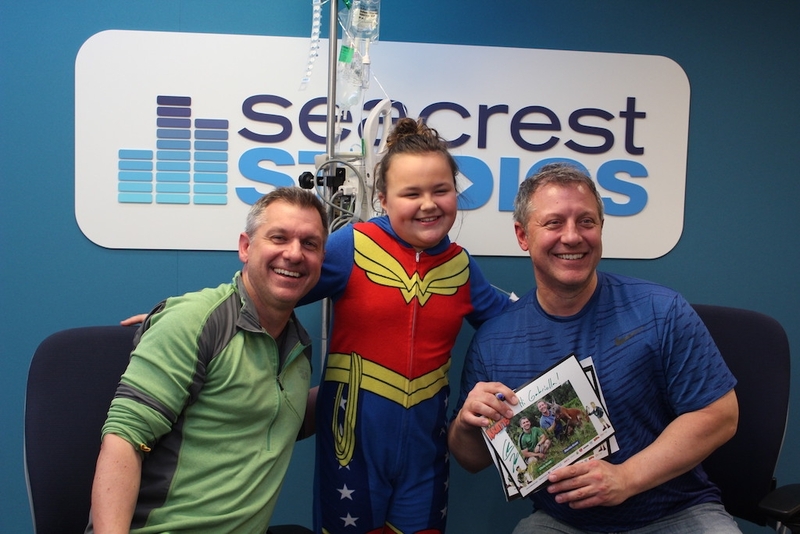 Thank you so much to the Wild Kratts for visiting us at Seacrest Studios! We had a ​wild time and so much fun learning more about your passion for animals. We hope you visit us again soon!